There are two types of trains that can take you to the city centre of Rome. Here, the first and fastest option is Leonardo Express, while the second option is the local FM1 train. The railway station can be found outside of Terminal 3. The Leonardo Express is the direct train from the airport to the center of Rome, with a frequency every 30 minutes. There are ticket machines, the official ticket desk, and several independent outlets that sell tickets for the Leonardo Express train. It is the fastest public transport between Fiumicino airport and the center of Rome. The first departure from Roma Termini station is at 5.35 am and last at 10.35 pm. The first departure from the airport is at 6.23 am and last at 11.23 pm. Termini Station: all trains arrive and depart from platform 25, which is close to the left luggage office at the station. Fiumicino Airport: the station is part of the passenger terminal complex. There is several minutes walk out to the station area which is undercover with moving walkways. Do not forget that you can’t use Rome public transport passes to/from Fiumicino airport on the Leonardo Express. Get your ticket stamped in a validation machine just before using it. Ticket expires 90 minutes after validation. Price: One way fare (to Trastevere, Ostiense, Tiburtina): 8 euro for adults. Do not forget to stamp your ticket on a validation machine before using it. Another way to reach the city center is by using city’s metropolitan train that has a connection to the Metro. The metropolitan train FM1 links the airport of Rome with the regions Roma Tiburtina, Fara Sabina, Poggio Mirteto and Orte. The train leaves from the track on the left. However, it does not stop at Termini station. To get to the city center, you have to get off at Tiburtina or Ostiense station to connect to the metro of Rome. You can order a private transfer from our website for 50 euro. So to say, the price for regular taxi is 48 euro. The driver, Sergio, will meet you at the airport and with him, you will be able to reach any point of the city in a fast and comfortable way. You can order a transfer in advance on rome4.us. You can buy a ticket online in advance, so before your departure, you will not have to wait in a queue. Moreover, online tickets are on 1-2 euro cheaper. Of course, you have an option to buy a ticket for a bus that leaves sooner directly at the bus stop. However, it is a good idea to buy the return bus ticket in advance, so you can be sure that you will not be late for your flight. On average, buses take 45 minutes to get to Rome Termini station from the airport in normal traffic conditions. The cheapest public transport option between the airport and Rome’s city center (Termini station) is the Terravision Bus. The bus operates between 5.35 am and 11 pm. The company operates between 5 am and 8.30 pm from Rome, and between 8.30 am and 12.30 pm from FCO. The stops in central Rome are at Piazza Indipendenza (near Termini station) and Via Crescenzio (near Castel Sant’Angelo). The journey between FCO and Termini takes about 50 minutes. If you choose this option, it is better to arrive at your stop at least 20 minutes before the scheduled departure because buses can come and leave earlier than expected time. Also, you should consider the fact that there is a substantial distance from Terminals 1 and 2, where all domestic and inter-Schengen flights arrive and depart. It is a good option if you need to travel to or from Fiumicino airport at a very late or early time of the day because the trains and other buses do not work at the same working schedule. During the night time, the journey will take around 30-40 minutes. If you need to get from Rome’s city center to Fiumicino, the Cotral bus stop at Termini is at the main bus station (Piazza dei Cinquecento) in front of the train station, opposite to the Museo Nazionale Romano. Rome’s public transport stops running early – both lines stop running at 11.30 pm on weekdays, and it works until 1.30 am on Friday and Saturday nights. There are night buses around the city, but they are infrequent. Ticket price is 5 euro per person online. Open return tickets cost 8 euro per person. From Termini Station (on the right side as you are facing the station) buses travel between 4.30 am and 8.30 pm. The shuttle service operates between FCO (Terminal 3) and Termini station from 8 am until 11.30 pm every day. It also stops in the center of Fiumicino town, and at Piazzale 12 Ottobre, near Ostiense train station, where you can connect to some Italo high-speed trains. The bus departs from Fiumicino airport (Terminal 3) and goes to Termini Station. Buses leave from 6.30 am – 9.50 pm. Price: from the city center to Fiumicino and vice-versa there is a fixed cost of 48 euro. The fixed cost for the taxi fares from Fiumicino airport is valid only to Rome Aurelian Walls (The historical center of Rome). You can always find white taxi cabs outside the passenger stations. Be careful, sometimes taxi drivers can easily take advantage of the tourists. You always have to pay attention to the details, such as: there are prefixed rates, which you can read at the cab parkings of the airport; to get more clients, drivers may try to go very fast, so don’t be afraid to ask them to slow down. The price includes the luggage and is for up to four passengers, and is valid for both directions: Fiumicino airport to Rome City, and Rome City to Rome Fiumicino airport. So that, make sure that you are taking a taxi to the City of Rome. If your destination is outside the Aurelian Walls, the price of the trip is metered and may increase up to 60 euro. Be aware that Uber prices can vary dramatically (for instance, from 45 to 108 euro). Get a fair estimate as a time of day or heavy usage raises the cost. You can use www.rentalcars.com which connects its clients to the biggest brands in car hire. This website allows one to find the best car options. Also, there is a possibility to rent a car in advance. For most car hire companies, the age requirement is between 21 and 70 years. On average, the minimum price of car renting per day starts from 25 euro. Each driver’s full, valid driving license, which they’ve held for at least 12 months (often 24). Was this article useful? 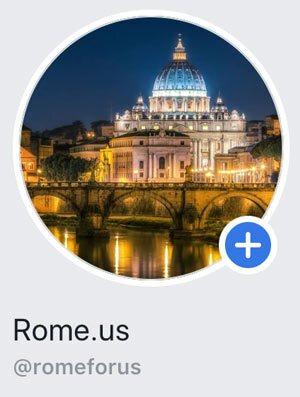 Write in comments about your experience in Rome!